Comments Off on — Duh— Is it Tomorrow Yet? 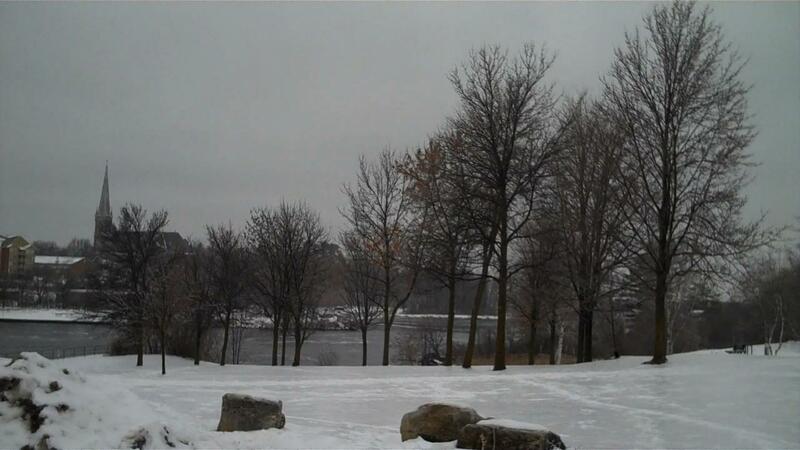 Arnprior was a skating rink this morning. Our poor dog had a heck of a time trying to find a nice, flat, and rough enough so his feet didn’t fly out from under him… spot to take his morning pee. The soundtrack was classical music from CBC-2. 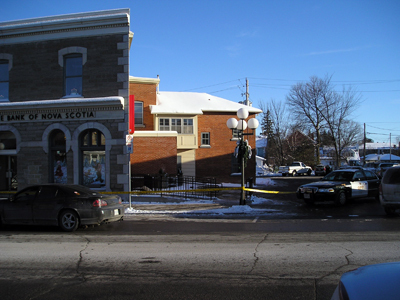 -Arnprior, Friday, December 18, 2009. 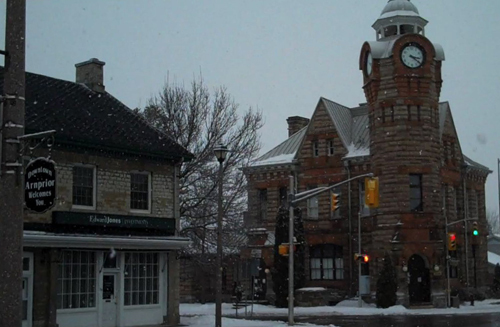 So I pretty much froze my fingers off shooting a couple snap shots around town. I tried to get some video with a flip cam too. I still have to plug that in. Diamond dust is the frozen particles of moisture in the air when it gets this cold. The diamond dust didn’t show up in this photo, probably just too small and not quite the right angle to catch the sunlight magically lighting up the pixellated diamond dust. 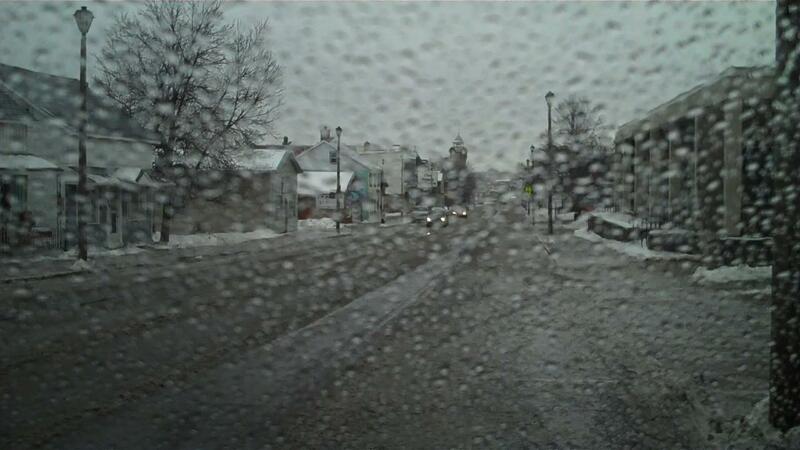 -Arnprior, Ontario, Canada- Monday, December 14, 2009. -We got to the Arnprior & District Museum in time to wave goodbye to several of the volunteers who had come to their pre-Christmas party. Curator Janet Carlile was on hand to thank the many volunteers who make the Museum work. She also announced that she was thankful to the town and people of Arnprior who support the Museum. One volunteer was particularly impressed with the way students from Algonquin College put in so much time and effort to work near miracles every year with new exhibits, and this year, a kit to bring aspects of the Museum to local schools and other places. In the second photo, Three volunteers are looking at a photo of firefighters and an old fire engine they believe might be the one that’s on display beside them. During the party some of the volunteers spoke with wonder at how the fire engine actually fit through the doors behind the volunteers in this photo. Someone else remembered that the floor had to be reinforced to handle the weight of the vehicle.